Lord Heseltine's recent report ("No Stone Unturned") into growth was correctly welcomed from a distance. That is to say that Lord Heseltine was given a wide remit to examine many different areas of government as he saw fit. His report wasn't merely a proxy for a Minister or Secretary of State's views. Lord Heseltine is his own man. "At the earliest opportunity civil servants based across the country should be brigaded into Local Growth Teams, structured around clusters of LEPs, primarily tasked with joining up government and local partners in the areas of their responsibilities to facilitate, identify and realise economic opportunities." "Government departments should offer all major sectors of the economy the opportunity to form a relationship with government." Excepting the corporatist approach of some recommendations, there are good ideas to be found - for example, on increasing private sector involvement in delivering public services (without attempting to merge the two), on getting the public sector to assess how much regulations cost the economy, and on increasing financial education in schools. Conservative Home has criticised Labour councils for funding Labour allies in the think tank world using public funds. Civil service officials have criticised Steve Hilton’s proposal to contract out policy development to think tanks. Both Conservative Home and the civil service are, I believe, mistaken on this. There is both a public and a party interest in ensuring councils are appropriately prepared to implement large scale changes in how they commission services and can manage the politics of institutional change. Our obsession with the cost of advisors and policy consultancy is misguided. This expenditure costs thousands. Individual councils spend hundreds of millions. We suffer when right of centre councils invest too little in policy research. No council is an island entire of itself; each is part of the main. Even the best Conservative councils are not immune to the national political pendulum. They are part of a broader Conservative movement which sinks or swims together. Investing in policy development helps Conservative parties in opposition to fight back. It helps our councils retain power. Without investment, policy changes can be poorly implemented or piecemeal. Suffolk County Council created a big picture vision of how to change their council. They did not invest in the external policy oversight that might have informed them how to implement this plan. They did not identify and manage the political risks. Norfolk hasn't exactly been at the fore in terms of Party unity for Conservatives over the last few weeks but at two Tory councils in the county, Breckland and South Norfolk, the leaders John Fuller and William Nunn have agreed to further explore a "Two Councils - Best of Both" concept for future collaboration and service delivery. Other Councils have run joint services before but these plans sound more radical than anything seen elsewhere. Last week, the leaders outlined to a joint meeting of their respective councillors how the proposal might improve service delivery to residents at lower costs, at a time of an unprecedented financial squeeze on local authorities. With keeping Council Tax as low as possible an imperative, a process of due diligence, will now seek to identify innovative ways to improve services for residents and business, build resilience, reduce duplication and enhance value for money. Centre for Social Cohesion Research Fellow, Alexander Meleagrou-Hitchens, has a challenge for the Mayor of London Boris Johnson. In the Sunday Express, the Centre for Social Cohesion revealed that the Conservative London Mayor's office has worked alongside Mohamed Ali Harrath, who is the subject of an Interpol Red Notice for "terrorism", "counterfeiting" and "crimes involving the use of weapons/explosives." This is despite previous statements from the party condemning Mr. Harrath. "We are not extremists and we are not terrorists and we [sic] never been involved in any such activities...revolution is not [necessarily] a dirty word...there is nothing wrong or criminal in trying to establish an Islamic state." On Saturday, 26 September 2009 the Mayor of London held an event called Eid in the Square. Addressing the event was Mohamed Ali Harrath who is also the CEO of the Islam Channel - media sponsors of Eid in the Square. For a video of his appearance click here (appears 2.19 minutes into video). On February 3rd a seminar was held with Francis Maude, the Shadow Minister for the Cabinet Office and Nick Hurd, the Shadow Minster for Charities, Social Enterprise and Volunteering and the CCHQ Implementation Team. It was part of the prepartion for Government and on this occasion looked at what lessons their could be from Conservative Councils for the next Conservative Government. "Last week I was very pleased to be able to take part in an event organised jointly by Francis Maude MP, Shadow Minister for the Cabinet Office and by the Central Office Implementation Team. "There were three outstanding presentations by Conservative Authority leaders that I thought you would be interested in looking at.The first was by Stephen Greenhalgh, Leader of Hammersmith and Fulham, who described how the Borough succeeded in dramatically reducing Council Tax at the same time as raising the quality of services and public satisfaction. Stephen called it “Progressive Conservatism”, but I would describe it as energetically delivering all of those barnstormingly Conservative principles that we all believe in and wish we could do more of. "Lord Hanningfield’s presentation was the continuing story of how Essex County Council is saving local Post Offices from closure and how some of them are now also becoming points where the public can also make payments to Local Government. "The third presentation was from Paul Carter, Leader of Kent County Council, on how Kent has driven up educational standards and skills. One fact that particularly intrigued me was that the setting up of Skills Centres actually sited on industrial estates to deliver the very local skills needed there. All Paul needs to do now is to share with us where the funding came from!" The full presentations are not avalable online but I will try and get PDFs put up here later. "I think it's great for local democracy and local pride if people can name their public spaces after the people who are important to them. They may choose national icons. But they may also choose their community's unsung heroes; those who serve others and win the respect and admiration of the people around them." As The Telegraph suggests, the people of Manchester could choose the David Beckham Park while Edinburgh could name their library after J K Rowling. Mr Healey will be reacting to a report from the New Local Government Network, a think tank overseen by former Labour minister Chris Leslie. Local war heroes or community workers could also be recognised. The think tank urges Boris Johnson to name a London street after every double medal winner from the 2012 Games. Should Conservative councils cut council tax for all or give rebates to some? Both the Daily Mail and the East Anglian Daily Times report on Tory-controlled Essex County Council's plan to give £200 council tax rebates to some low income council taxpayers. The move has been welcomed by Mark Wallace of the TaxPayers' Alliance. Mr Wallace told the EADT that "economic conditions are increasingly difficult and taxes are placing an intolerable burden on household budgets.” Some will wonder, however, about the administrative complexity of Essex's proposal and whether rather than targeting relief on some families it would be more sensible to deliver across-the-board cuts in council tax. The Guardian contrasts the Essex approach with Hammersmith & Fulham's delivery of a 3% cut in council tax over two successive years. This is not the first time that Essex Tories have been willing to embrace an innovative approach to a topical problem. Earlier this year the Council put aside £1.5m to save endangered post offices. The Council also runs an online vote on spending priorities. Participants in the vote can win £50 a week. "I was astonished that the British Board of Film Classification (BBFC) could have seen fit to allow anyone under the age of 15 to watch the film. 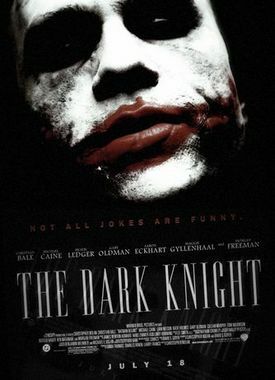 Unlike past Batman films where the villains were somewhat surreal and comical figures, Heath Ledger’s Joker is a brilliantly acted but very credible psychopathic killer, who extols the use of knives to kill and disfigure his victims, during a reign of urban terrorism, laced with torture. It is a relentlessly violent film, filled with dark themes, and as I left I wondered what the board could possibly have been thinking." "At the start of the film, one character is terrorised, when a grenade is put into his mouth. Later, a man's eye is viciously jabbed out with a pencil. In another scene, the Joker boasts that he enjoys killing with a knife, because it takes his victims longer to die. This is dark, dark material indeed. Yet this is the film the British Board of Film Classification has given a 12A rating, which means it is considered quite suitable even for young children, if they are accompanied by an adult. Children over 12, of course, can see it on their own." "I think the BBFC do very good and important work but I was surprised having seen and enjoyed The Dark Knight that it was a 12a and not a 15. The film contains violent and disturbing scenes, even though it's a brilliant movie. We should remember that BBFC classifications are only advisory and local authorities are ultimately responsible for classifications. It would be interesting to see if any local authorities wish to use their powers for this and future films."